TV movie adaptation of the Marvel comic. 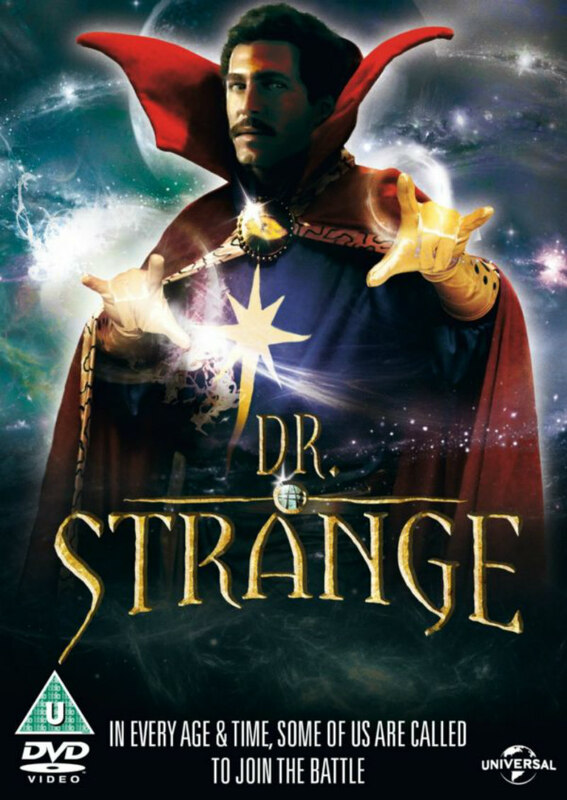 There's a certain charm to this version of Dr Strange that I'd welcome in today's superhero epics, and for all its shortcuts and shortcomings, a seven-year-old yours truly would have been well onboard with watching this show every week before his Saturday evening bath. Long before a Disney-owned Marvel began to dominate the box office, the comics' giant's stable of heroes could be found duking it out in dodgy spandex outfits on prime time TV. From the late 1970s to the early '80s, kids of all ages regularly tuned in to watch the ongoing adventures of a former Von Trapp child slinging web as Spiderman and an Italian-American bodybuilder lifting cars off children as the Hulk. Both The Amazing Spider-Man and The Incredible Hulk were produced by the CBS network, and an attempt was made to add a third iconic hero to the roster in the form of Dr Strange. A 90 minute pilot aired in September of 1978, but the network suits declined to add any further episodes. With the character about to make his big screen debut, Universal are now giving this pilot a long-awaited DVD release. In this version, the titular magical medic is played by jobbing actor Peter Hooten, who screams 1978 with his moustache and curly mop. When we meet Doctor Stephen Strange first he's flirting with a nurse in a very '70s manner, boasting about how he buys the cheapest perfume for the girls he dates. What a charmer! Meanwhile, as mere mortals are busy getting busy, in the fourth dimension there's a power-play between Lindmer (John Mills, John bloody Mills!!! ), a good sorcerer (think Ben Kenobi) and Morgan Le Fay (Jessica Walter, whom you kids will know as Arrested Development's matriarch Lucille Bluth), an evil sorceress (think Darth Vader in an evening gown). The demon Balzaroth (voiced by Ted Cassidy, whose 'Richard Burton choking on a chicken bone' performance seems to have inspired Tom Hardy's Bane) orders Morgan to kill Lindmer within three days or he will take away her youth. Figuring her revealing evening wear won't look so good on a centuries old figure, Morgan sets off to New York to take out Lindmer. She does this by briefly possessing Clea Lake (The Boogens' Anne Marie Martin, credited here as Eddie Benton), using her body to toss old Lindmer off a bridge. Such a trivial attack won't kill a sorcerer of course, and Lindmer brushes off his tweed and sets off on his merry way. Clea however is left mentally scarred, and ends up in the care of Strange when she begins having hallucinations, some of which Strange experiences himself. Things start to get fuzzy from then on, with a lot of details presumably held aside for future episodes that never came to fruition. Lindmer tracks down Strange, making him his successor in classic Joseph Campbell fashion, leading to a climactic showdown between Strange and Morgan that appears to have been shot in the cellar of Studio 54. Dr Strange is cheap as chips, a product of an era when comic book adaptations were tossed off without a care under the presumption that kids would be happy with simply seeing their heroes make the leap from the page to screen regardless of quality. The film has some of the most unconvincing representations of urban New York you'll ever witness, with most exteriors shot on a section of the Universal backlot usually reserved for European set World War II stories; having a bunch of black kids hang outside the sort of café frequented by members of the French Resistance is fooling nobody. Yet the truth is, 1978 was a more innocent time, and kids really did swallow this shoddiness. I have to admit there's a certain charm to this version of Dr Strange that I'd welcome in today's superhero epics, and for all its shortcuts and shortcomings, a seven-year-old yours truly would have been well onboard with watching this show every week before his Saturday evening bath. Dr Strange is released on DVD October 17th by Universal.